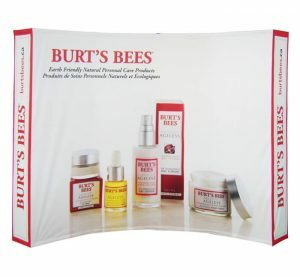 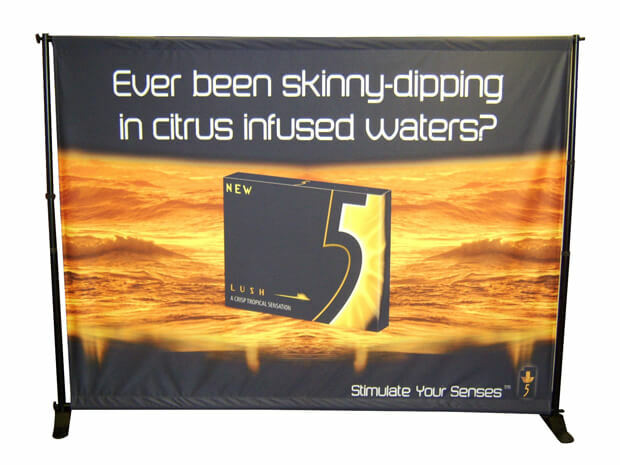 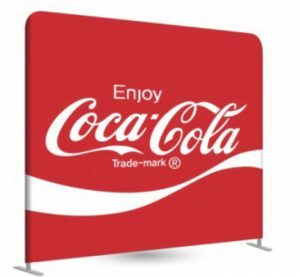 Display your brand name and products, with custom printed graphics, both easily and effectively with the Adjustable Large Format Banner Stand. 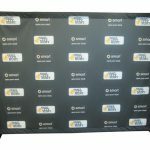 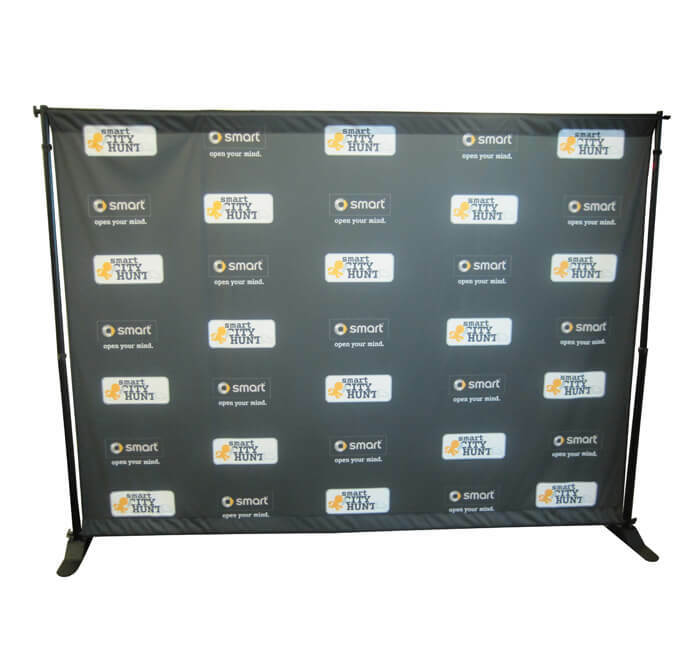 Built with an extremely lightweight pole pocket mounting system, the Adjustable Large Format Banner Stand is a product that you can bring anywhere and set up in minutes. 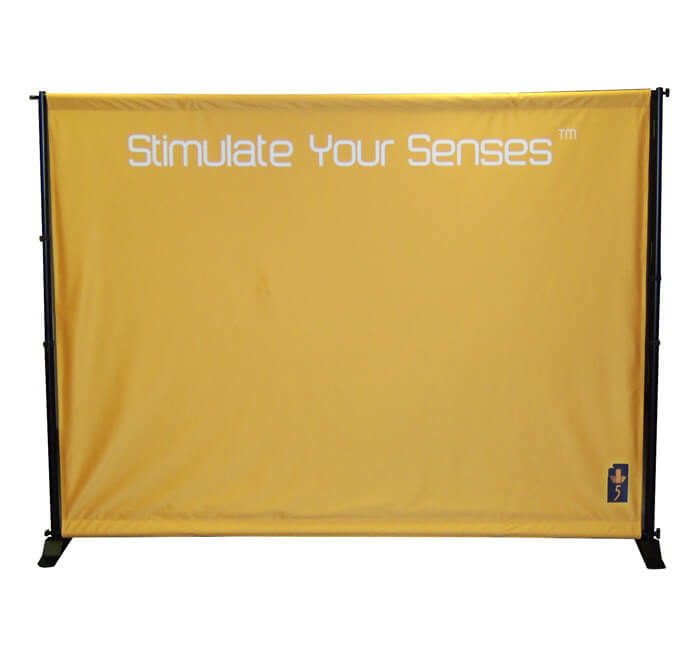 Its two 3” x 17” steel bases ensure that the structure stays firmly in place. 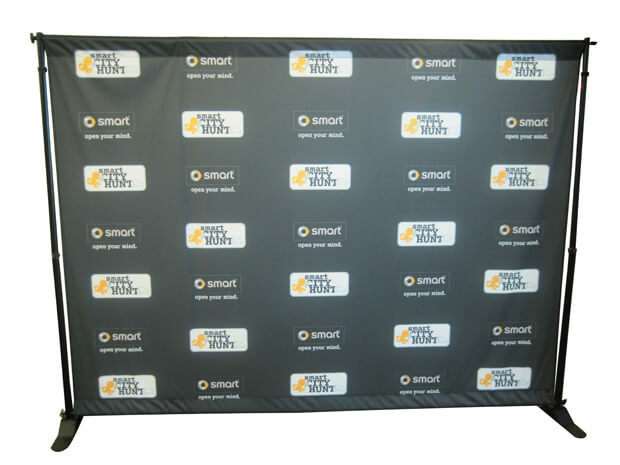 Highly versatile, the Adjustable Large Format Banner Stand has a telescopic height 36”-96” and adjustable width that allow a wide variety of size options. 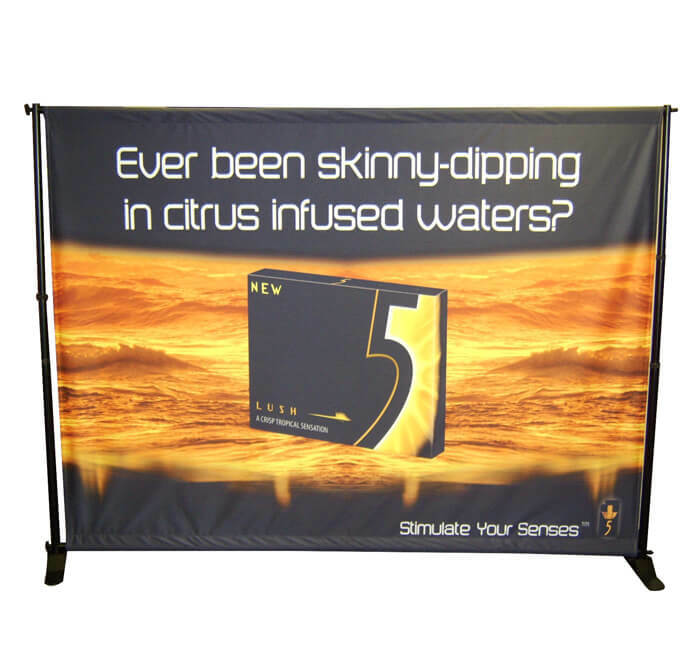 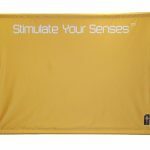 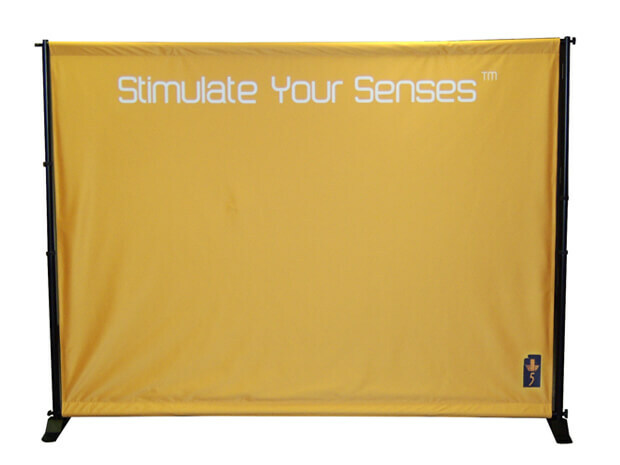 The Adjustable Large Format Banner Stand is available with standard or jumbo tubing. 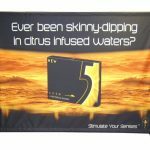 A conversion kit for larger displays is also available.